It takes knowledge, experience, and expertise to perform a paving job properly, especially when using asphalt. Bellevue residents need a company that not only specializes in the material involved, but is also intimately familiar with the climate in the Puget Sound area. Ismael's Construction LLC, asphalt contractor, is that company. We have over ten years of experience serving the entire King County area, including Bellevue. Asphalt and concrete are our specialty, and we pride ourselves on our quality of service, in-depth knowledge, and unbeatable craftsmanship. With Ismael's Construction on the job, you can be sure your paving project will be done right, to the highest professional standards! When it comes to paving with either concrete or asphalt, Bellevue, with its harsh, often unpredictable climate, can pose particular challenges. Using materials with inferior physical properties will result in a pavement that might look nice at first, but it won't last, especially if it's located in a high traffic area. Before long it will likely, crack and crumble in spots. At Ismael's we use only the finest materials, designed not only for your particular project, but also for the environment in Bellevue. Asphalt comes in different grades, depending on the type and amount of aggregate (crushed stone) used in conjunction with the liquid asphalt. Liquid asphalt (called bitumen in Europe and Canada) has been used since Roman times primarily as a type of glue and also for waterproofing. It looks a lot like tar, but has certain unique properties that make it ideal for paving, such as its elasticity and water-resistance. The elasticity allows the paving mixture to ultimately have some play in it, so that it won't crack or buckle under the weight of a car or other vehicle. The water-resistant quality helps prevent deterioration caused by rain, snow, ice, and other types of moisture. While liquid asphalt occurs naturally in certain areas of the country (the "tar pits" of Los Angles, for instance), the material used in asphalt paving is generally obtained as a by-product of petroleum. At air temperature, it is heavy and sticky, and cannot be adequately mixed with the aggregate to create a suitable asphalt paving mixture. Consequently, it needs to be softened by one of three methods, specifically, heating it, diluting it with a solvent (cutback) or emulsifying it with water. The first method, heating, is one of the most effective and often preferred methods, of creating a stable, durable, and long-lasting asphalt mix. In many instances, the smallest pieces of aggregate (called "fines") are mixed with hot liquid asphalt to form a material called "mastic." The mastic actually coasts the remaining larger aggregate improving the overall durability of the paving mixture. Still, unless done properly and with care, certain contaminants (such as clay) can get into the paving mixture and weaken its overall structure, resulting in inferior (and often cheaper) material. At Ismael's, our paving professionals have years of experience with asphalt. Bellevue residents have consistently relied on our expertise and know-how. We use only the finest paving materials and methods designed to provide a pavement that will last without premature cracking, rutting, buckling, or crumbling. We are an asphalt contractor built on blood, sweat and tears. We know what it takes to make and business grow and maintain it. That is why we are in awe of our customers and want to do nothing more than serve them better than anyone. Asphalt and seal coat are in our blood. Asphalt laying, overlaying, repair, and filling is our business. If you want hard work, quality results, fair prices and a solid supplier, we are your Seattle asphalt company. As we like to say seal coating and asphalt laying are more than a business, they're our livelyhood. Call us or see our contact page for asphalt. 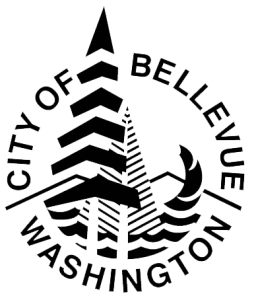 Bellevue customers may call during any business day. We also do asphalt in Seattle and asphalt in Everett. Request your free estimate and let our experts show you why, when it comes to all your paving needs, we are the best asphalt contractor, Bellevue!